Scientists' understanding of life is progressing more rapidly than at any point in human history, from the extraordinary decoding of DNA to the controversial emergence of biotechnology. 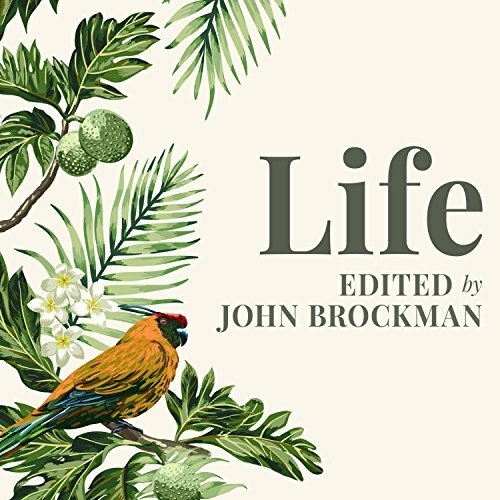 Featuring pioneering biologists, geneticists, physicists, and science writers, Life explains just how far we've come - and takes a brilliantly educated guess at where we're heading. Richard Dawkins and J. Craig Venter compare genes to digital information and sketch the frontiers of genomic research. Edward O. Wilson reveals what ants can teach us about building a superorganism - and, in turn, about how cells build an organism. Elsewhere, David Haig reports new findings on how mothers and fathers individually influence the human genome while Kary Mullis covers cutting-edge treatments for dangerous viruses. And there's much more in this fascinating volume. simply put it is fascinating to hear the conversations between innovators and recognized scientist in the field of Life Sciences. An audiobook is the ideal format for listening to discussions and essays on the thought processes by which these people came up with their ideas and where they expected their fields in life science to go in the future. Honestly I got this book and was initially disappointed by the format of seemingly random notes from various people, the transcription of conversations was a little annoying, and the narrator (sorry!) has a somewhat harsh slightly grating tone. BUT!!! I LOVED THIS BOOK!!! So much fascinating information I honestly can’t wait to go through it again! So many great points by many scientists who’s work I’ve followed and new info, in the end this was a great ride through some new and interesting biological studies! Stick with it! I’m so glad I did!